baronHCM helps assisted living facility do away with scheduling conflicts, cover gaps, and elevate quality while raising associate morale. Suncrest Assisted Living management was worrying about maintaining quality resident care because they had to handle a continual cascade of scheduling changes. Every schedule change resulted in a stream of unproductive emails, texts, and phone calls that wasted time, confused associates, and curtailed productivity for days at a time. 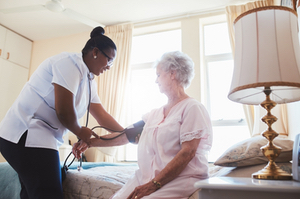 Suncrest Assisted Living has a labor force of 23 including on-site nurses and caretakers, aides, administrative staff, and housekeeping workers. A small on-site labor force means schedules aren’t very flexible and have little room to absorb change, which takes place repeatedly. Unplanned schedule changes triggered a time-consuming process of sending emails and texts to all qualified associates to find a replacement. Managers were often required to coordinate fractional shift changes to adjust to overlapping availabilities. The result was a domino effect that caused unanticipated consequences including costly overtime and coverage gaps. The extra burden, added confusion, and personal disruption was taking a toll. Searching for a solution, Suncrest turned to Baron Workforce Management Suite. Baron Workforce Management Suite provides simplified scheduling with Baron Scheduling in a powerful suite of integrated cloud-based tools that include time and attendance tracking (Baron Time), with mobile functionality for 24/7 anywhere access. • Baron Scheduling for streamlined assisted living staff scheduling and mobile coordination. • Baron Time for integrated time and attendance tracking. • Mobile access provides employee access and management control. Suncrest needed a straightforward solution that supervisors and other team members could use without the need for a lot of additional training. Baron Scheduling provided exactly that, with the additional power of drag-and-drop scheduling, simple schedule change management, and associate self-help tools that empower employees to solve scheduling problems with ease. With Baron Workforce Management Suite, Suncrest was able to set up their scheduling in about fifteen minutes by recording each employee name, job code, and availability. Once that was done, formulating worker schedules became an easy matter of drag-and-drop. Scheduling conflicts, unexpected overtime, and adequate shift coverage are no longer a problem with built-in notifications that warn supervisors before a problem takes place. When it comes to finding help due to schedule changes, the Suncrest team no longer goes into panic mode; staff members can enter their availability to pick up hours, and switching shifts between associates is as effortless as trading cards. Managers only need to approve swaps for stress-free schedule changes. One of the most popular features for Suncrest is the ability to empower employees with mobile access. With the Employee Self Service (ESS) portal, team members are able to view their schedule, request time off, check accruals, and review their time cards. They no longer need to call a supervisor for basic information and time card accuracy has improved significantly. This is a perfect solution for a community of associates working all hours of the day and a real timesaver for managers. All long-term care facilities are now subject to the Payroll Based Journaling (PBJ) standards. Employers are required to track daily employee shift hours by job description and site as well as staff tenure and turnover. Suncrest uses the built-in Payroll Based Journaling (PBJ) tools in Baron Workforce Management Suite to efficiently track the data and prepare accurate reports. Suncrest managers are sleeping better at night knowing that PBJ compliance is automated with baronHCM Baron Workforce Management Suite. Managers using Baron Workforce Management Suite for scheduling will tell you that the savings in time alone makes the upgrade worth it. 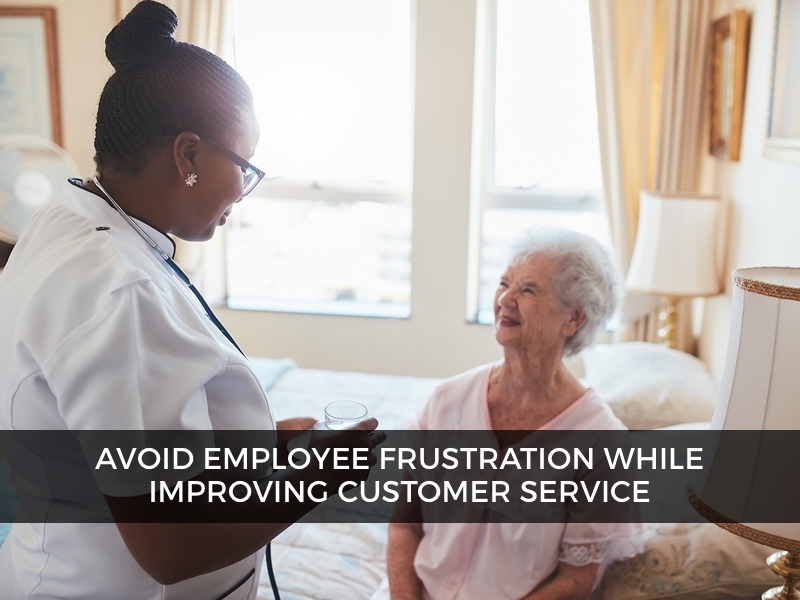 Additionally, Suncrest Assisted Living will go one further and tell you that staff member empowerment and the end of panicked scheduling emergencies have gone a long way toward increasing employee morale. Happy employees allows for better care for residents, increased productivity, and a healthier bottom line. baronHCM offers Baron Workforce Management Suite, the powerful, fully-integrated Workforce Management Suite that makes it easy to optimize the performance of your managers, employees, and organization. Baron Workforce Management Suite includes Baron Time, Baron Scheduling, and BaronÂ Mobile. Baron Workforce Management Suite is designed for busy employers like you who need to streamline scheduling, automate time and attendance tracking, maintain regulatory compliance, and reduce labor costs. How much can you save? Check our baronHCM ROI Calculator. © 2017 | BaronHCM | All Rights Reserved.